Since the innovation of color took the film world by storm, producing motion pictures in black and white has become a thing of the past. But every few years, a director decides to translate his vision from a color filled spectacle to a black and white tinted exploration and even though the aesthetics of black and white are usually artistic or creative ones, there is no doubting the inherent power and compelling thought process behind diluting the natural colors of the world and leaving it all to shades of grey. Here are a few films whose directors passed over color and decided black and white would be a much more fitting color scheme for the tone and overall reception and impact of their piece. Supposedly, just as Martin Scorsese began filming “Raging Bull”, he took some time to look at the dailies he had assembled so far and realized something was amiss. 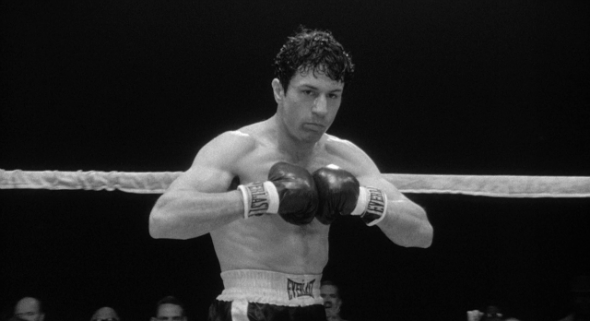 Michael Powell, who was spending a lot of time with Scorsese and becoming a bit of a mentor to him, noticed Robert De Niro’s red boxing gloves were too striking, throwing off the pace and look of the film. Scorsese immediately agreed and decided then and there that the film had to be in black and white. And good thing he did because not only is “Raging Bull” one of the greatest movies of all time, but without the use of black and white photography one would have to imagine the twisted and self-destructive journey of boxer Jake La Motta would not be nearly as horrid or captivating as Scorsese’s beautifully introspective masterpiece turned out to be. While only half this movie is in black and white, the contrast it draws between the muted colors it establishes in the flashbacks and the brilliant and colorful surroundings of the present provides easy access into the mind Derek Vinyard. 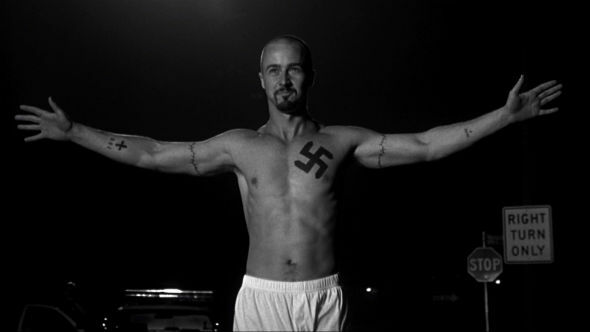 As a young skin head with a penchant for drawing others into his cause, Derek, played with gusto and an unbelievable amount of heart by Edward Norton, sees the world in two colors: white and everything else. His racism is blinding and his actions speak loudly in support of his beliefs, but after he goes to prison for the murder of a young African American, Derek slowly begins to see the world as it truly is; a multitude of colors, faces, ideals and actions, any and all of which can be condoned or supported by any race, creed or gender. As Derek realizes his past mistakes, the world becomes brighter, and the once gloomy and dim air that ran through his home of Venice Beach, California, becomes sunnier and crisper in its colorful flare. Black and white is used to perfection here as it establishes two, distinct frames of mind. 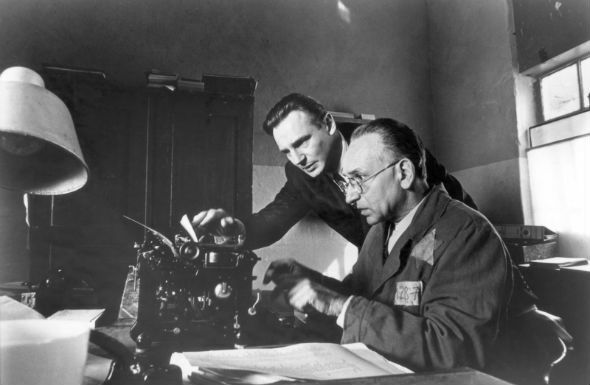 A prime example of how black and white photography can establish a mood, “Schindler’s List” is a powerful film whose black and white presentation puts it at opposite ends of the bloody, disheartening yet eventually uplifting subject matter. Before “Schindler’s List”, Steven Spielberg was still seen as the young, blockbuster producing filmmaker who could bring in audiences but had yet to achieve the intrinsic depths of mood and emotion mined by some of his cinematic counterparts like Francis For Coppola and Martin Scorsese. But Spielberg handles this film with so much care and respect that you can see him growing as a filmmaker with each subsequent frame. His decision to show the atrocities of the Holocaust in black and white surely must have been a difficult one because while you want to enlighten an audience about a part of history you do not want to unnerve them to the point of losing sight of the story. But Spielberg is a master and his black and white photography adds age, emotion and a certain level of class to every scene and setting a mood that may be hard to get comfortable with but one you will never forget. 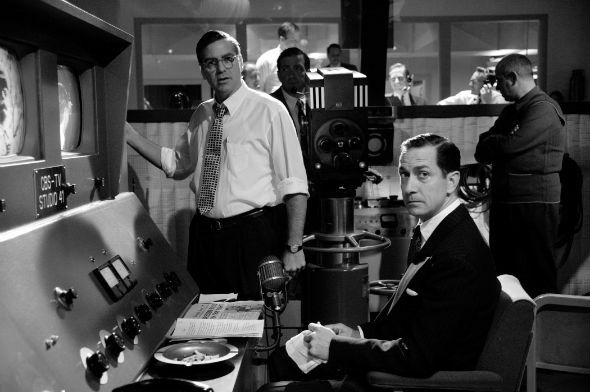 George Clooney shot his 2005 hit in color before deciding to digitally convert it to black and white, and his decision to do so grounded his real-life story of Edward R. Murrow and his fight against McCarthyism in a perfectly unforgettable time and place, creating an atmosphere exploring all sides of humanity. “Good Night, and Good Luck” is one of the best period films to be released in the last ten years and the performance by David Strathairn and the rest of the cast make it an impeccable film. The world of television, and journalism for that matter, were still black and white during the time of Joseph McCarthy’s tyrannical witch-hunts, and Clooney’s decision to allow the audience to view his film the same way really cements the audience in the action, never allowing a blink or a sneeze to distract from the story. This is an important film, not only as a lesson in filmmaking, acting and cinematography, but in humanitarianism and power of a few, good people to fight and overcome what they know to be indecent. 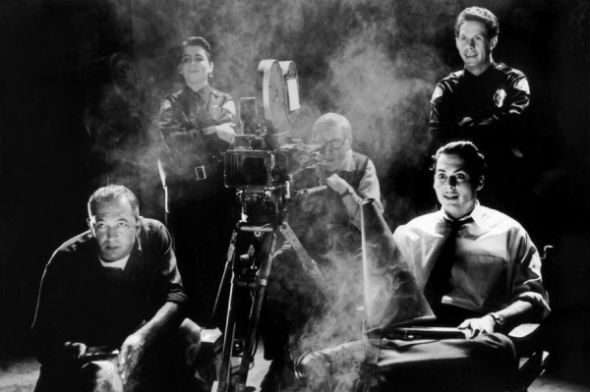 Tim Burton had said before that he wouldn’t know a good movie if it cam up and slapped him in the face, which is probably why he is the perfect candidate to make a movie about the worst movie maker of all time: Ed Wood. Wood was fascinated by film, but he never seemed to produce anything that rose above sloppy mediocrity. In fact, more than a few of his films are considered to be some of the worst in the history of cinema. Burton perfectly captures the trials of an artist trying his best to make a movie of substance, and Johnny Depp’s performance as the titular director brings a raw affection to man who simply wants to make his mark as an artist. While this film could have easily been produced in color, the decision to make it black and white allows for a much deeper exploration of this man’s life, which he hoped, in his own mind, could be half as good as some of his favorite black and white films. Though Burton has recently slipped in his ability to tell a story without the reliance of over the top CGI or whacky, zany plots, he is in full form here and anyone, including himself, questions his ability to make a movie, need only look to “Ed Wood”. Top Ten games that let you play as the "bad guy"
Turns out the real plot for Revenge of the Nerds was the assimilation of the masses into their collective. Not unlike what the Borg would have done.